EZ-Access Threshold Ramp from HealthyKin.com is a lightweight yet durable free-standing modular ramp designed for doorways, sliding glass doors, and raised landings. 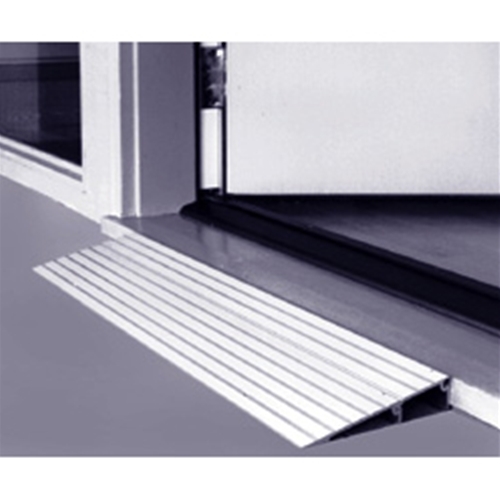 This seam-free ramp is 34" wide and easily accommodates thresholds from 3/4" to 6" high. Ideal for use with wheelchairs, walkers, and cane users. Made of anodized aluminum and is intended for indoor or outdoor use. Saves on the doorway and is real structure!!!! Very quick delivery. Very happy with the product!!! !